The UNSMIL said it is still operating in Tripoli denying news about the evacuation of its staffers from Libya. 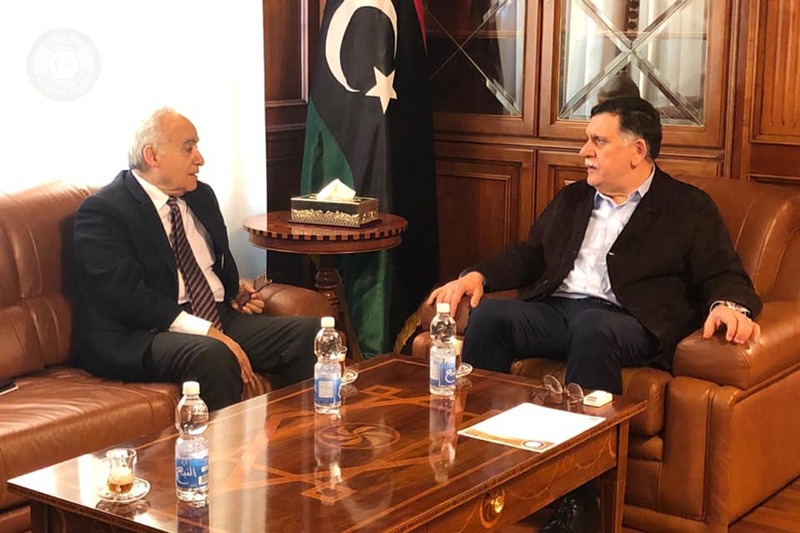 UNSMIL said its Head Ghassan Salame met with the Head of the Presidential Council Fayez Al-Sarraj in Tripoli and discussed ways of assistance in this critical time. Salame also met with Head and members of the Supreme Court who urged him to pursue his efforts to find a political way out of the current conflict. Meanwhile, the UNHCR said that its personnel are ready to provide emergency assistance to displaced Libyan families and immigrants if clashes persist. The French embassy in Libya said Monday that it did not know of Haftar's intention to attack Tripoli and that it supports the legitimate "Government of National Accord" headed by Fayez Al-Sarraj, denying that it has a hidden agenda in Libya. It also urged for moving forward with the political process in Libya with the Presidential Council in the center of discussions to find a way out of the crisis. The Italian Interior Minister Matteo Salvini said Saturday that a foreign country's interest is behind the attack of Haftar on Tripoli, in an implied reference to Italy. Likewise, the President of the European Parliament accused France on Sunday of pushing for its own interests in Libya. Relevantly, Libya Al-Ahrar TV Channel cited sources from Gharyan - where Haftar's forces' western operations room is based - as saying that several French experts arrived in the city a and formed a control room to monitor the attack on Tripoli.